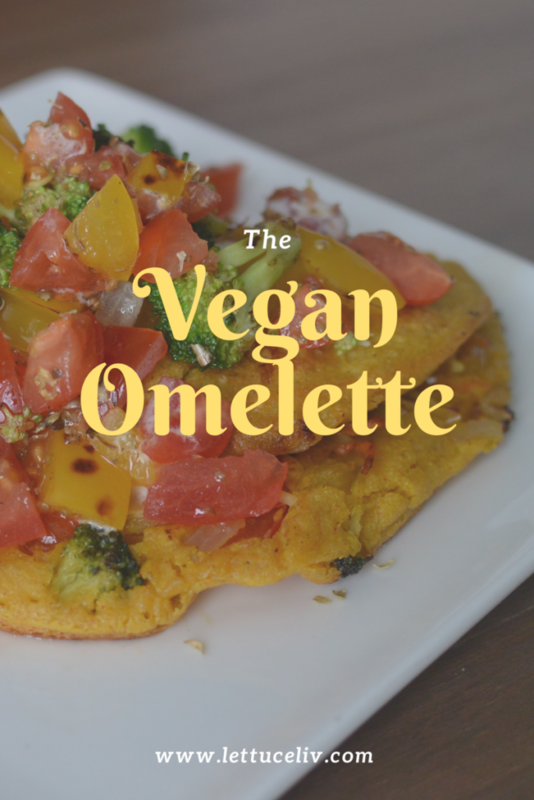 Vegan Omelette! 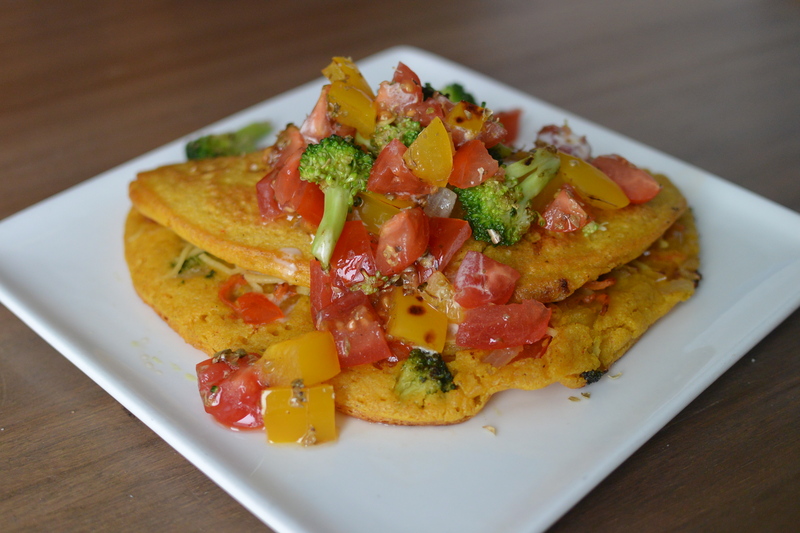 Yes, you’ve heard it this vegan omelette is 100% plant based, soy free, gluten free and amazingly delicious! Jammed with protein this omelette is by far better then the original! Its so easy and you can add any spice you desire. The reason I decided to make this recipe is because my husband who is newly vegan was feeling nostalgic. He missed having a huge brunch on Saturday mornings. When I was vegetarian I was never one to obsess with eggs. But I understood what he meant, by his nostalgia. For 28 years of his life he was accustomed by habit to eat meat. Not because he liked it or because he wanted it but because its what he thought he was suppose to eat. So, over a year ago, when my husband went vegetarian he felt relieved and excited. He knew his choices meant something and started to make a big difference. However he didn’t give up things that he liked when he went vegetarian and I know this goes for a lot of people I speak to. They say oh they would go vegetarian but they could never go vegan. They can’t give up on eating cheese and eggs, doing that is EXTREME. When I hear this I always shrug because there’s never a way to convince them with words. Instead I tell them go check out my Instagram and blog. To see how easy it is to remove them out of your life. My husband was excited to hear that this weekend I was making a vegan brunch. Especially when I announced I was making a vegan omelette.He was even more excited to eat it! 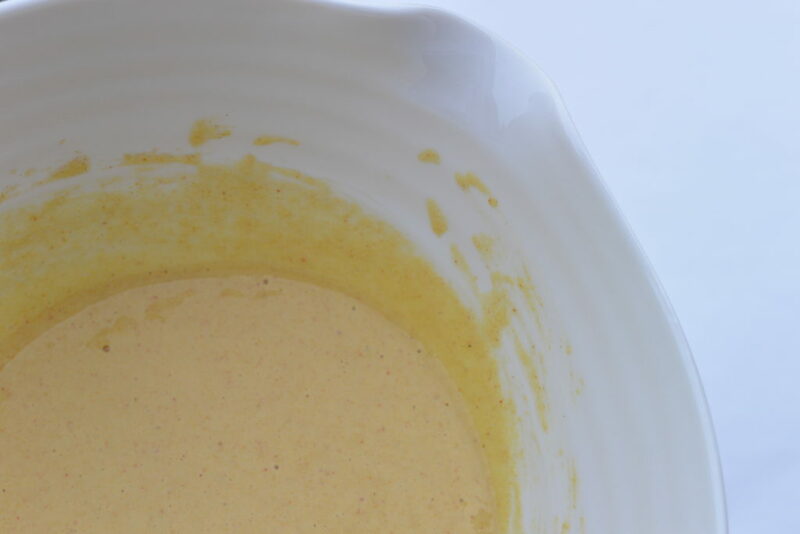 There are a lot of fancy vegan running egg yolk recipes but this one is easy to make. It barely takes 10 minutes to prep and if you prep it the night before its even easier. Its a quick go to recipe for during your work week! 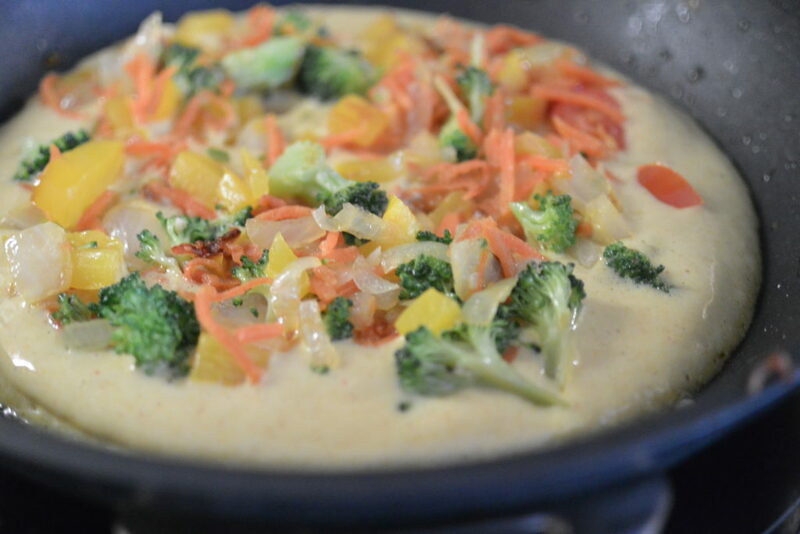 To make the vegan omelette mixture you will need chickpea flour, I use coconut milk but you can use any non dairy milk. Apple cider vinegar, baking soda, nutritional yeast, turmeric, salt and pepper. This is the base mixture and now you can season it to your hearts content. I added chipotle powder, paprika, garlic powder and curry! Mix the ingredients until well combines. Now you can either store in your fridge over night or you can start chopping all the veggies you want to add into your omelette. In the recipe card I added all the veggies but they are totally optional! See the whole recipe card below and don’t be shy in commenting below, your thoughts on this post I really love to hear all your feed back! And don’t forget to share on social media also! If you haven’t already please follow me on Facebook, Instagram, twitter and I just started on pinterest I’d love have some followers! combine all the ingredients to make the omelette batter. Chickpea flour, coconut milk, tumeric apple cider vinegar, baking soda, nutritional yeast, salt pepper to taste curry garlic powder and chipotle powder set aside. add all the veggies to a frying pan and heat until tender. I added a little bit of avocado oil to the mix. Once they are tender set aside. 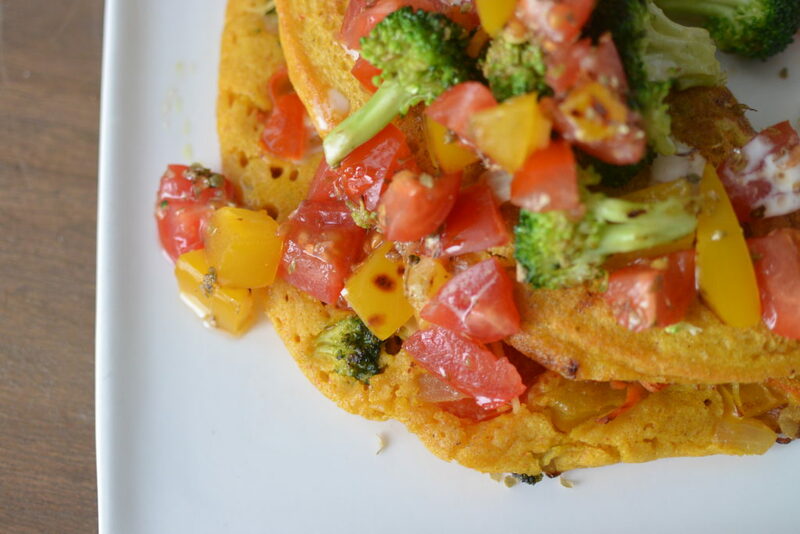 in the same frying pan add a small amount of avocado oil to the pan and add a big scoop of the batter to the pan. 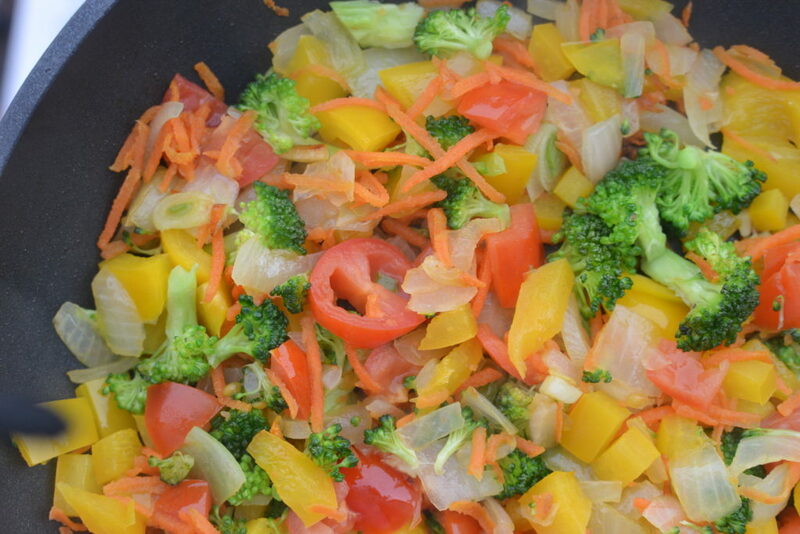 while its on the stove add in some handfuls of veggies to the mix and cover with a lid. once ready turn serve on a plate with extra veggies on top. This sounds amazing!! I always found breakfast a bit more of a challenge but this sounds so easy and packed with veggies and flavour. Definitely need to try this!! I need to try this! I have always searched for a “vegan” omelette recipe. It is so hard to find out there!! Yay! happy to hear I was able t help you find a vegan omelette. Is there any other vegan recipe you are on the look out for? I am not doing dairy right now so this is right up my alley!! Looks amazing! Never thought there is possible to make vegan omelette. It looks to good and close to the original one! I’m not vegan, but I do enjoy vegan recipes. This is very interesting, I”m intrigued by the chick pea flour. Definitely going to give it a try! that sounds great! let me know if you like it when you make it. I really do love feedback! I’m not a vegan myself but this looks fantastic! I’ll send it on to my vegan colleague here at work, he’ll love it for sure! Wow – I didn’t realize the “egg” part of the omlette was so easy to make! And I already have all the ingredients needed to make it. Will have to try this!